These Terms and Conditions of sale shall apply to all Orders placed by the purchaser. The Purchaser acknowledges that these Terms and Conditions govern all orders placed by it at any time and from time to time and as such constitute a binding agreement between the Purchaser and KARMA Clothing (Pty)Ltd. By registering, or using the KARMA Online Shop, you recognise that you’ve read and accepted these Terms and Conditions. Order(s): the request made by the Purchaser to KARMA for the sale and delivery of certain garments to the Purchaser, the details of which are contained on any document requesting the supply of such garments. You or Users: the party placing an order with KARMA or on whose behalf such order is placed. Site: The KARMA Online Shop – KARMA Clothing (Pty)Ltd : Reg No 2003/004722/07 of 77 Fifth Street, Wynberg, Sandton, JHB. 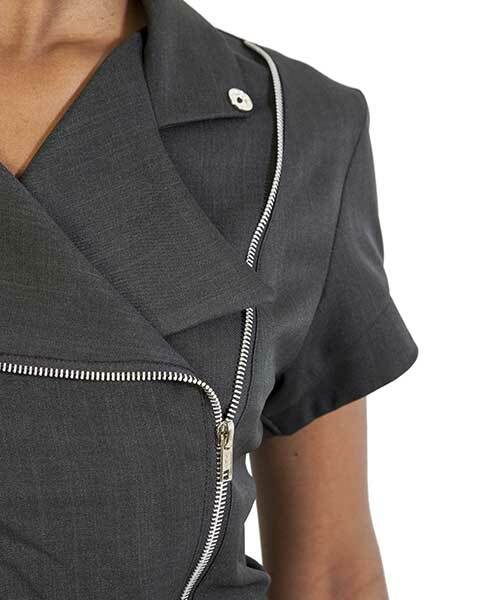 KARMA Clothing is a business in the manufacturing industry that designs and produces ladies and gents corporate wear. Please note that the stock of all items on offer is limited to availability. Should KARMA be unable to fulfil any order because stock is sold out, KARMA will let you know and you will be entitled to a reimbursement for the rand value you have paid for such product, within 30 days, or the selection of an alternate product at the same rand value. The KARMA Online Shop allows you, the user, to place electronic orders for one or more products on offer as long as such products are available and not sold out. A sale contract between you and KARMA only comes into effect once you have fully completed and submitted the online order form for one or more products in your “KARMA Bag” and your payment has been authorised by KARMA or has been received into the KARMA bank account. KARMA reserves the right to refuse processing of payment for any order and/or to cancel any purchase, partially or completely, with notice given to you. The prices reflected on the Online KARMA Shop are inclusive of VAT and are applicable to all Orders, completed, signed and received by KARMA. Notwithstanding the above provision, KARMA may, in its sole discretion and without further notice to you, alter the prices without incurring any obligation prior to acceptance of an Order. The prices exclude the costs of the delivery of the item(s) to the customers at its designated delivery address. This cost is calculated at the checkout process. Payment may be made via Visa, Mastercard, Diners or American Express credit cards or by EFT into the KARMA Clothing (Pty)Ltd bank account, the details of which are provided at checkout. In the EFT process, be sure to use your order number as payment reference. Credit card transactions will be acquired for KARMA Clothing (Pty)Ltd via PayGate (Pty)Ltd who are the approved gateway for ABSA Bank South Africa. PayGate uses the strictest form of encryption, namely Secure Socket Layer 3 (SSL3) and no credit card details are stored on the website. Users may go to www.paygate.co.za to view their security certificate and security policy. Customer details will be stored by KARMA separately from card details which are entered by the client on PayGate’s secure site. For more detail on PayGate refer to www.paygate.co.za The merchant outlet country at the time of presenting payment options to the cardholder is South Africa. Transaction currency is South African Rand (ZAR). While KARMA shall use its best endeavours to adhere to any specified delivery date, it shall not be bound by such date and accepts no responsibility for any loss, expense, or any other damages of whatsoever nature that may result from any delay in delivery. Orders in South Africa shall be delivered by road to the chosen address of the customer set out on the order form. KARMA aims to deliver within 7 working days. No PO Box deliveries are done. KARMA deliveries take place during business hours ie.no deliveries over weekends or public holidays. A delivery is considered complete as soon as the parcel is handed to an individual at your specified delivery address. Notwithstanding the reservations of ownership as set out above, all risk in and to the items shall pass to the User upon delivery. It is your responsibility, as a buyer, to ensure that you or the intended receiver inspects the parcel on arrival and makes known any justifiable complaints. Such complaints and queries must be brought to the attention of KARMA by emailing our support centre at shop@karmaclothing.co.za or contacting KARMA on 011 262 2995( Monday to Friday 08h00 to 16h00). If you are dissatisfied with your purchase due to a defect, incorrect product delivered or incorrect size, you may return it to KARMA within 30 days of delivery, unworn and original tag attached. On inspection and acceptance of the returned item(s) you may either receive a KARMA account credit or a refund, or have the product repaired or replaced. In as much as each garment is delivered with detailed care instructions attached to it, KARMA shall not be responsible for any damage that may be caused to garments due to incorrect wear, laundering or general poor care. KARMA is responsible for adhering to the Consumer Protection Act 68 of 2008 with the sale of any products from the site. However, KARMA will not be held responsible for any loss or accountability of any kind that arises from the use of this site. We encourage you to report any possible malfunctions and errors by emailing shop@karmaclothing.co.za or contacting 011 262 2995. KARMA may, at its own discretion, change these terms and conditions or any part thereof. If you are a registered account holder, KARMA will inform you of changes via email. At such point, it will be your responsibility to read through the revised terms and conditions to ensure that you’re satisfied. If you are dissatisfied, you have the right to terminate your registration on KARMA. In the event of any kind of dispute between you and KARMA, arising out of any situation catered for in these terms and conditions and cannot be resolved by you and KARMA, the dispute may be presented for confidential arbitration. Such arbitration will be handled according to the rules stipulated by the Arbitration Foundation of South Africa. This site is offered, controlled and run from the Republic of South Africa. As such it is governed by South African legislation, and subject to the disputes clause in these Terms and Conditions. You and KARMA are subject to the non-exclusive jurisdiction of the South African courts. Each and every section of the terms and conditions must be read as individual and separable from the rest of the terms and conditions.